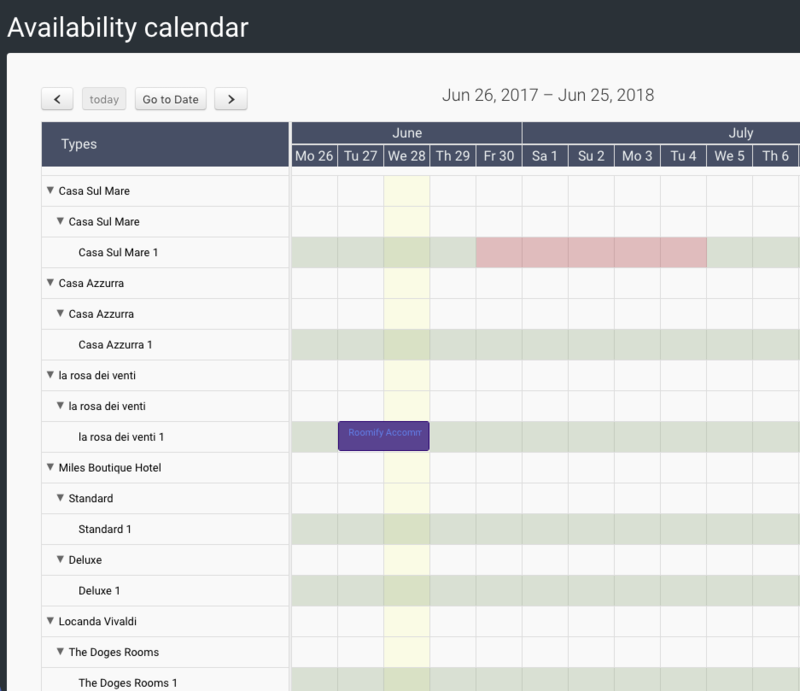 It’s a new feature that allow a property owner or a manager to have a global overview about the status of bookings and unavailabilities in a single calendar. You can find that link clicking “Global Calendar” on the sidebar menu, under Bookings. So if you have many properties, and many unit for a type, you will have as many rows as properties and unit. You may also change the availability clicking directly from the calendar.